If you’re in the lab on a regular basis, pipetting is likely something that you can do in your sleep. Despite your level of skill, it’s always good to practice your pipette skills in order to remain at the top of your game as in the lab, it’s all about accuracy and even the smallest mistakes can skew the results of your experiments. 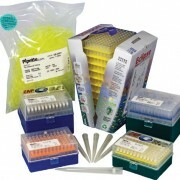 At Pipette.com, our staff has compiled some essential tips for working with pipette tips below. If you are new to working with pipettes, you may not yet be familiar with the type of plastic/packaging they come in. For example, some tips come in racks, while others come in bulk bags, reloads, filtered, sterile, etc. Knowing the packaging is the first essential step in getting to know which product best suits your lab needs. The best way to determine if your pipette tips are suitable is to check your tip ejector. If your ejector doesn’t properly release your tip, chances are your tip is not the best fit. Leakage is another sign that your tip is not suitable, even if it seems to fit properly. Most tips will come with colors that match to their suitable pipettes, so this is a simple way to determine the best tip for your pipette. Sealing rings can be used on the nozzle of your pipettes in order to ensure an airtight seal between the pipette and its tip. This helps minimize any leaking, thus increasing accuracy and reducing the error of your data. Although these tools are not mandatory, anything that can increase the quality of your results is worth considering. Barrier/filter tips are designed to stop liquid from making its way into your pipette by using a liquid barrier in each tip in order to prevent contamination. Due to the fact that even the slightest slip-up during experimentation can lead to cross-contamination, these tips are a great way to ensure the best possible results. Take a look at our great selection of barrier/filter tips here. All of the above “tips” are great ways to increase the accuracy of your results and reduce error. If you’re an experienced lab technician, these tips are likely familiar to you, but it never hurts to give yourself a refresher and brush up on your technique. 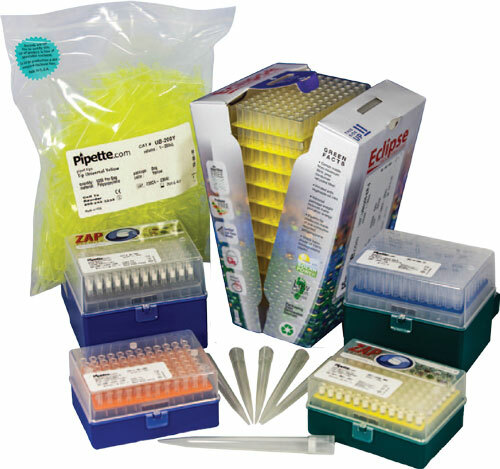 Take a look at our website to get a better look at the various pipette tip products that we offer.